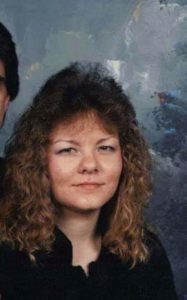 Jackie Darlene Holder, 52, of Lincoln, passed away January 13, 2019 at St. John’s Hospital. 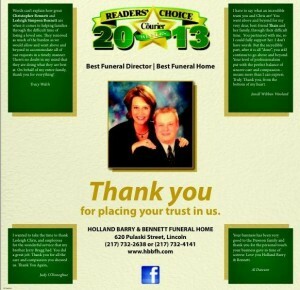 Cremation rites will be accorded by Holland Barry & Bennett Funeral Home. A Celebration of Life will be held Saturday, Jan 19, 2019 from 2-4 PM at Friendship Manor. Jackie was born September 25, 1966 in Peoria, IL., the daughter of David and Catherine (Brewer) Thresher. Surviving are her father David K. Thresher Sr., daughter Charlene A. (Michael) McKinney, grandchildren Talan McKinney and Kaylee McKinney, brother David K. Thresher Jr., sister Felicia A. Thresher, and nieces Hailey Dinger and Peyton Shaffer. She enjoyed spending time with her nieces.